I was recently telling a friend about Dropmix, a new card/music/mobile game from Hasbro and Harmonix that I’d been messing around with that weekend. His childlike enthusiasm for the game’s concept made me feel a twinge of regret for what I intended to do to it. But scientific progress is not earned by the timid, and I had a mission to complete. Released early this November, Dropmix’s players place cards onto the game’s battery-powered base, which is connected to their phone via Bluetooth. Each card contains a musical track, such as the vocals from Sia’s Chandelier, the guitar from The Weeknd’s Can’t Feel My Face, or the percussion from Duck Sauce’s Barbra Streisand. 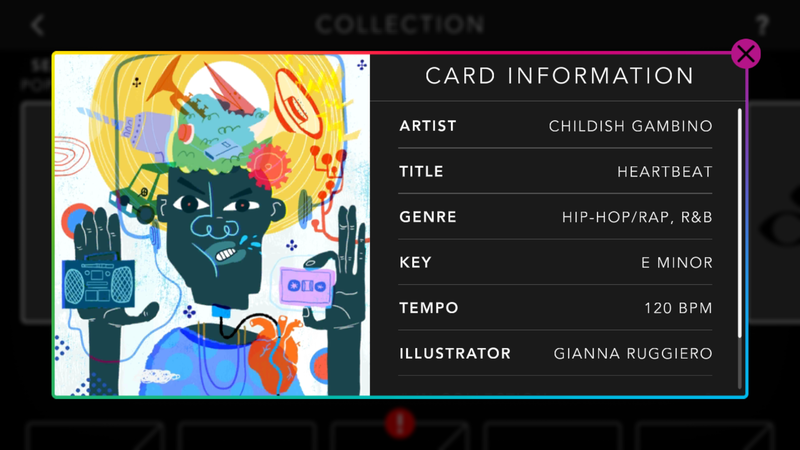 Dropmix identifies which cards players have selected, then plays their audio together, creating a new song. Selecting the Freestyle mode, I flicked through the cards included with the Dropmix deck. There are additional card packs that can be purchased separately – the Playlist Packs include 16 cards in a curated playlist, such as the hip hop pack, pop pack and rock pack, while the Discover Packs contain five cards. I was only working with the base cards that come with the main Dropmix deck and, though there were a few certified bangers, I didn’t recognise a significant number of the songs. I’ll readily admit this may just be because I listen to Spotify more than the radio nowadays, but unless you’re going to sink some money into card packs, don’t expect to be remixing the greatest hits of your “This My Jam” playlist. Initially I believed this would prevent me from layering Ed Sheeran’s Sing vocals over the vocals of The Chainsmokers’ Closer (ft. Halsey). But I soon found that, despite the clear colour coding of the Dropmix base’s card spaces, you can place any card of any type in any slot and it will still play. The sole restriction is that a maximum of five cards can play at any one time. It’s easy to mix together something that will get your head bopping, with the tracks seamlessly melding together. Even when they don’t quite hit “banger”, they’re still passable enough. It’s harder to make something clearly dissonant.